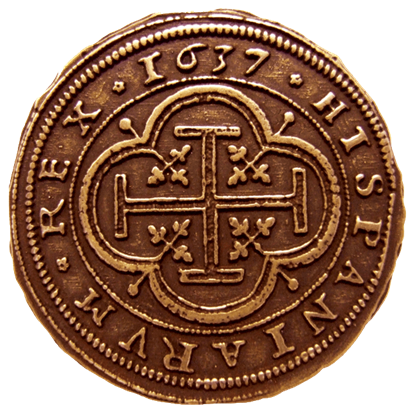 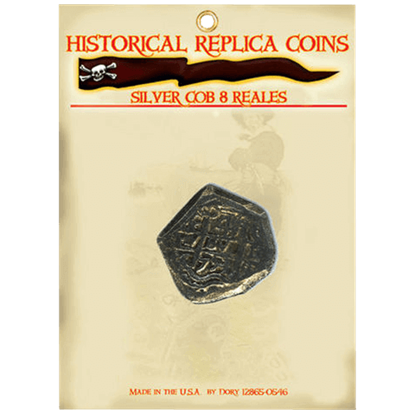 Known for amassing great wealth as they sailed the Spanish Main and Caribbean, pirates have become indelibly linked with many historical coins. 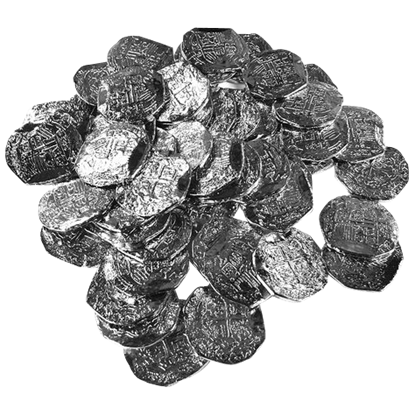 Now you can bring home your own pirate booty! 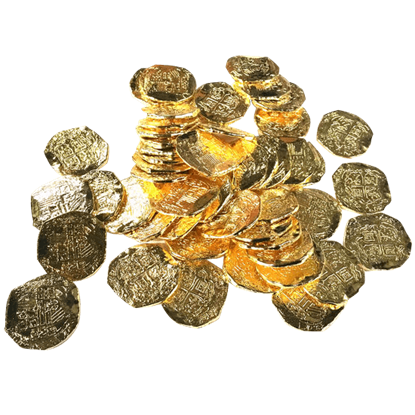 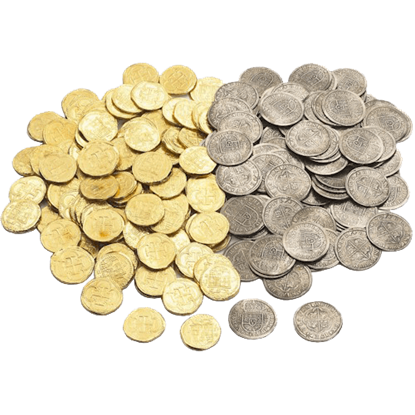 We carry excellent pirate coin replicas, including golden doubloons and Pieces of Eight. 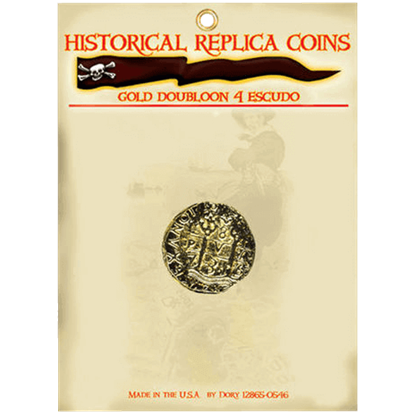 Other pieces of our pirate treasure coins show off designs inspired by famous swashbucklers like Bartholomew Roberts and Blackbeard. 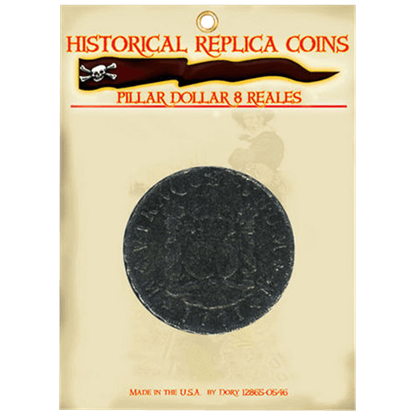 Each buccaneer coin features fantastic detail, crafted from fine materials. 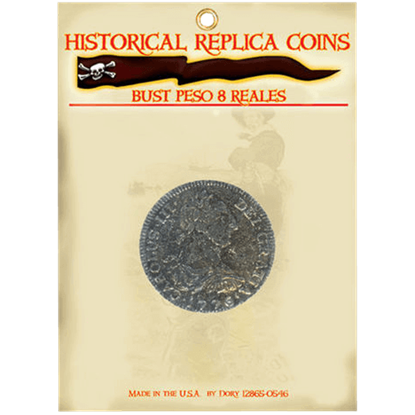 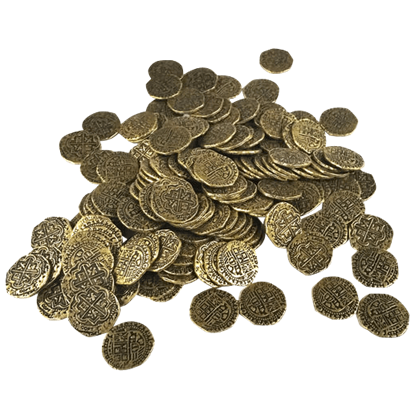 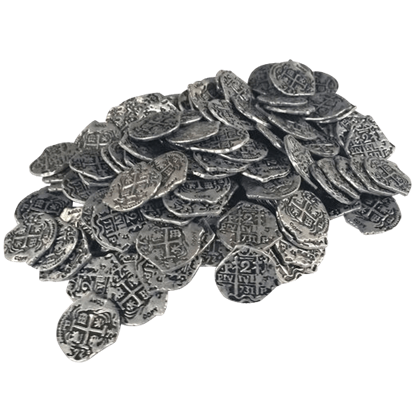 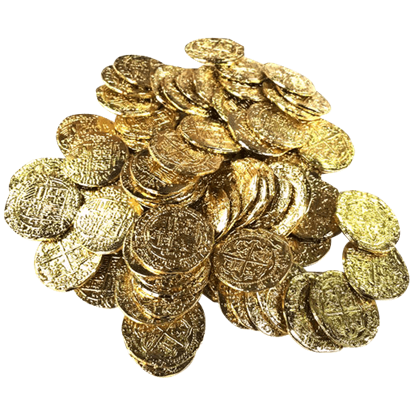 These replica coins are great for collectors and pirate enthusiasts alike, and the swashbuckler coins also make wonderful props for theatrical productions, the Renaissance fair, and costume parties when stowed in a fine leather pouch.